Jamari Lior is known for her love for details, be it in model photography or in her documentary work. Her approach even in staged photography always carries an anthropological aspect: Pictures are meant to be read and tell you something about the portrayed as well as about the culture in which they come into existence. 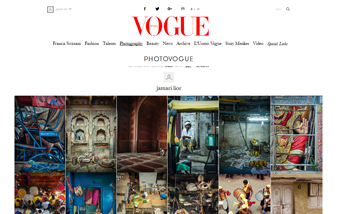 Jamari has published numerous books, DVDs and magazine articles on photography. She is Nikon ambassador, works as a professor at the Indian Institute of Photography close to Delhi (India) and has a photographic studio in Königswinter close to Cologne (Germany).